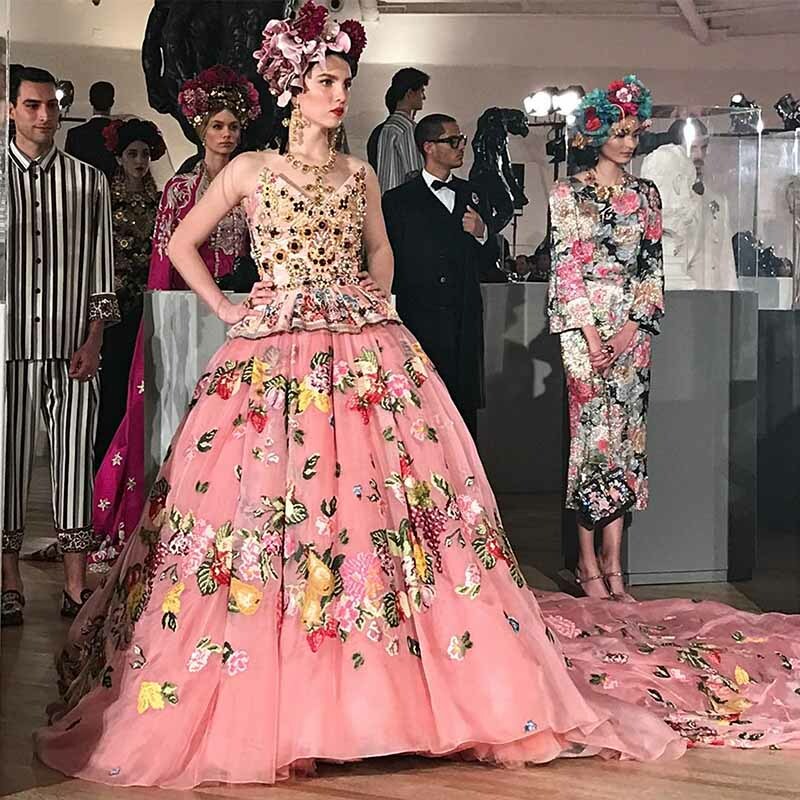 Maya Henry – model, actress and reality star of “Hangin’ with Los Henrys,” opened the highly anticipated Dolce & Gabbana Alta Moda Alta Sartoria runway fashion show at the Soumaya Museum in Mexico City. Maya wore a stunning floral embroidered and jewel encrusted Dolce & Gabbana couture gown with a garland of flowers in her hair. Dolce & Gabbana unveiled a similar showing of their Alta Moda women’s couture collection early April in New York City, where Maya attended and sat front row. The New York City show was opened by supermodel Karlie Kloss.